Bio Nutrition 100% Natural Raspberry Ketones Review - A Wise Buy? 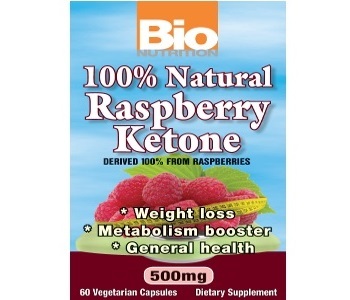 Read our review below about a supplement called Bio Nutrition 100% Natural Raspberry Ketones. It is designed to help those that want to lose and maintain weight. It is also intended to improve metabolism and overall health. The manufacturer claims that this product contains no synthetic materials, and is made from the finest quality Raspberries. Naturally derived Raspberry Ketone is the only active ingredient in this product. Other ingredients are vegetable cellulose, vegetable stearate, and silica. There are no preservatives or artificial ingredients. Raspberry Ketone is a chemical from red raspberries. Research on animals indicates that raspberry ketone might increase metabolism, and the rate at which the body burns fat. However, research also states that there is no reliable scientific evidence that this ingredient improves weight loss when taken by humans. The recommended dose is 1 capsule taken with meals twice a day. We did not come across any information concerning side effects from this product. However, there are claims that the ingredient is related to a stimulant called synephrine, which causes jitters, increased blood pressure and rapid heartbeat. Bio Nutrition 100% Natural Raspberry Ketones can be purchased directly from the manufacturer and from online third-party retailers. The cost is $19.95 when purchased from the manufacturer’s website, and about $13.99 when purchased from online third-party retailers. There are 60 capsules in each bottle. Discounts are available from selected retailers. The manufacturer offers a 30-day money-back guarantee. It is not the best guarantee period. 60 days and 90 days are better because it might take time for some people to experience change. Therefore 30 days is not enough time to determine the results of the product. There are less than few reviews on this supplement, which makes us doubt if many people have used it. 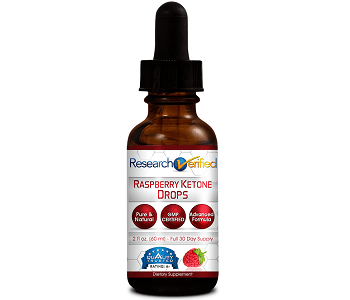 Raspberry Ketones from Bio Nutrition seems to be a promising product, especially because it contains a natural ingredient. No artificial flavors or preservatives are contained in this product. We like that the manufacturer offers a money-back guarantee, even though we feel it is not enough for every individual that uses this supplement, as everyone reacts differently to health products. However, it is better than no guarantee at all. The price is reasonable, mostly at third-party retailers. Our concern is that research was done on animals and was proven to have an influence on weight loss and faster metabolism, however, no research was conducted on humans proved Raspberry Ketone to be effective in weight loss and metabolism. We are also concerned that there is a possibility for raspberry ketones to cause high blood pressure and heart palpitations. Another concern is that even though it may seem to be a good thing that the price is low, it might also be a bad thing because low prices are often associated with low quality. This could mean that the product is also low quality. We do not know, but it is possible. Rather buy a product that its price is within the same range of similar products on the market, and one that has more than 30 days guarantee to give you enough time to determine its influence on your body.